This time is especially significant for change, transformation, and new beginnings. Are you ready for change? Are you ready to transform your money story? Are you ready for new beginnings in your abundance and prosperity? Then join us in the June Higher Dimension Healing Intensive. The new June program focused on prosperity and abundance will begin on Monday June 26th. This series will be even more powerful than any of the other previous HDHI series. I just received new information for this program from my guides and multi dimension team last night that will significantly change the way you engage with abundance and prosperity. I look forward to “seeing” you on the calls. Higher Dimension Healing Energy affects all of your bodies, your physical, mental, emotional, and spiritual. In this program, you will receive 21 days of live calls, where I along with my Multi-Dimensional Team will be sharing energy processes and transmission of energies and frequencies to assist you in all aspects of financial abundance and prosperity. This will allow you to receive what you require to move forward in your life, in your path, in your mission to manifest your abundant and prosperous life. What would it feel like in your body to receive 21 days of higher dimension healing energies? Don’t think, just feel, and let your body respond and be open to receiving the signs and signals from your body and your soul. When you read this question, does your body expand? does it feel lighter? does it feel excited? 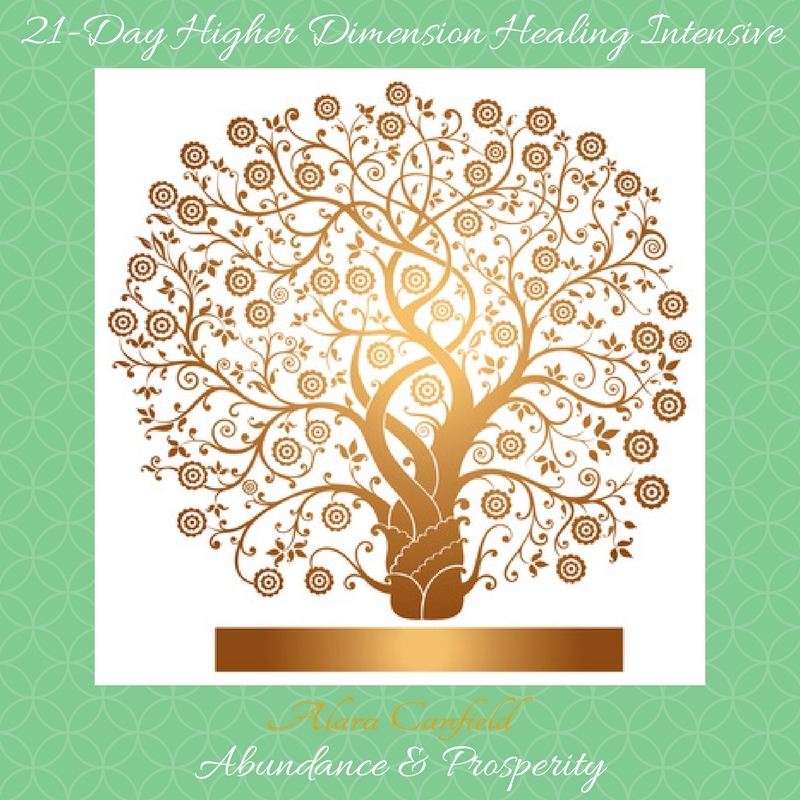 do you get a big YES?Then I invite you to join me in the next live 21-Day Higher Dimension Healing Intensive to expand into your radiant, prosperous SELF! If you are ready to significantly transform your life and energy to manifest more abundance and prosperity in your life, then this is the program for you! Are you ready to upgrade your abundance and prosperity story? Then it is time to upgrade your energy! Releasing energy that no longer serves you, frees up your space so you can receive new empowering energies so that you can begin to manifest and actualize your new life with ease and grace. It is time to write your new upgraded abundance and prosperity story. Join us at https://alara.at/hdhi/ .